I died. So many times. 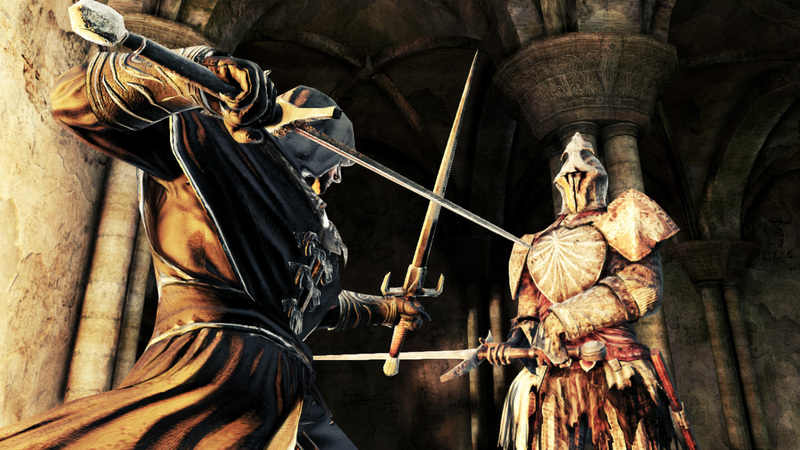 It was to be expected of course, the original Dark Souls was notoriously difficult, and this sequel is reportedly even harder. As a newcomer, I had heard tales of such dastardly game design, a system which teaches players how to play the game by punishing them with death at every turn. Foolishly for a time I thought this truth may have been exaggerated, but this quickly changed as soon as I took my first steps in the game. Shortly after the opening cut scene, which sets up a story filled with light and dark, dead and living, good and evil, I found myself in a field. Grass gently blowing from an unsettling wind I heard a rustling. At first one, then more wild dogs appeared, pursuing me. I turned to flee, but didn’t watch my step, and quickly found my way to a bottomless pit. From here, the fate of my character (Dave) did not improve dramatically (on the upside though, I did earn my first achievement). Once you have got over the constant fear of death – as much as is possible for any vaguely rounded human being – the biggest thing to hit you about DSII is how open it is. This is not an open world game per se, but it does leave the player to make their own way in the world, in what is often a very hostile place. A tutorial area introduces you to the basics, briefly, but once you are out of the woods and into Majula, the least prickly of the game’s areas, you are left to chose your own path. Early on, I found myself taken down a passageway beneath a church. The journey seemed innocent enough, but when I reached the other side I was faced with a heavily armored warrior (possibly made of armor) blocking my path. After countless attempts to slay him and escape with my life I succeeded, but alas, another of his company waited for me around the corner to put an end to my foolish optimism. The game begins, as many RPGs do, by asking you to pick a class. Nothing out of the ordinary perhaps, would you choose the warrior, a sturdy all-rounder, or a specialist such as the swordsman? In a universe which entertains both giants, dragons and magic there are many dangers and no character has any real advantage overall. In the end I opted for the magic-wielding sorcerer, equipped with a staff and the Soul Arrow spell, but with little else to hold the forces of evil at bay. Another area where novice/incompetent (delete as appropriate) players may struggle is getting to grips with the game’s various items. Herbs may be familiar to the Resident Evil player within you (in fact the game as a whole has a feel reminiscent of Resident Evil 4), but countless other items require significant scrutiny to make sense of, even to understand the descriptions offered by the game. 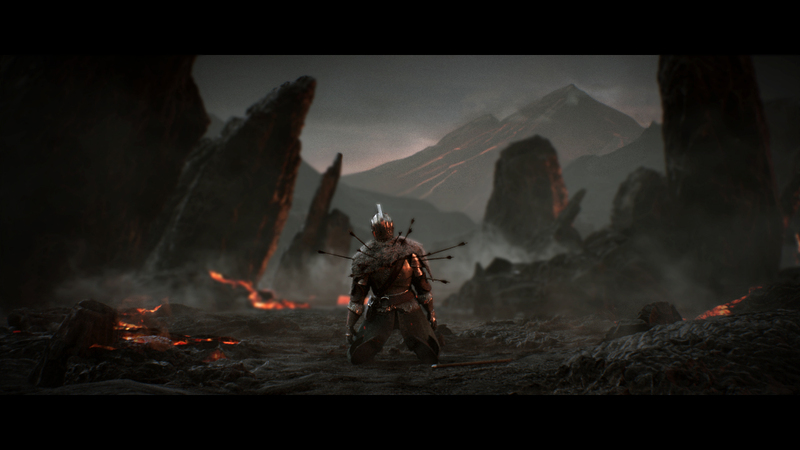 Even harsher is the fact that if you miss one lone NPC you can miss the means to level up your character entirely, the realisation of which makes you all the more attentive and persistent to the mutterings of any character. You’ll eagerly press A after every line to see if there is more of the story to tell. The currency of the game is souls – you are undead after all – and whenever you die those souls remain, waiting to be reclaimed when you walk over the spot where you once fell. These souls buy you items as well as levels and there will be times when you re-play areas to boost the number of souls you have. Bonfires are one of the core mechanics, another one of the few things I knew about before picking up the pad, and they continue to be your small, warm corner of safety amid a land of horror. Transporting between them is painless, and you can power them up with the right materials. The trouble it isn’t always obvious where they are, meaning you can be drawn into an area not knowing what is effectively a save point is hiding behind a stray tree. Not that you are ever safe, as even simple refuge has a sting in its tail – whenever you rest the basic enemies around that area immediately respawn. 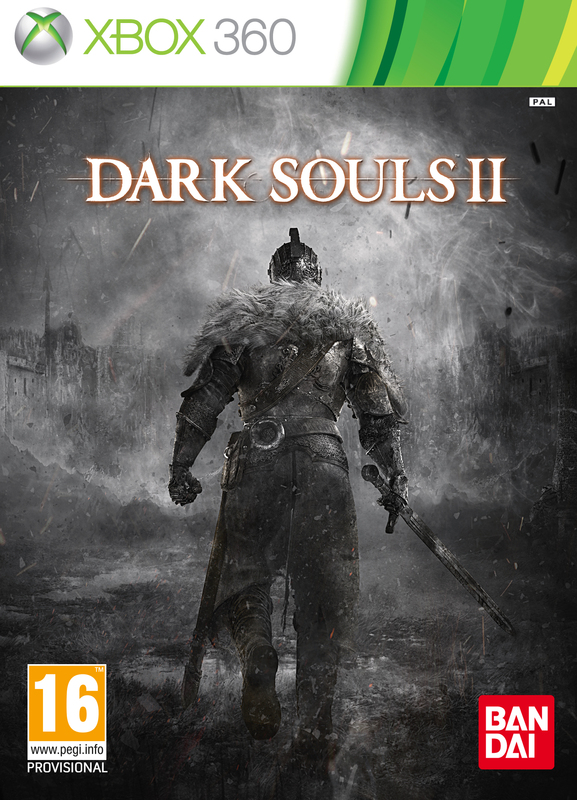 The game is technically well put together, with great graphics even in the twilight of a hardware generation and particularly effective lighting affects, offering dynamic shadows which are key to some gameplay elements and brutal sound effects which offer a more realistic edge to the clanging steel of the likes of Soul Calibur. Hard work has gone in to make you lose yourself in this world, to believe that all hope is lost and that you must embark on a quest for salvation for souls, whether it be a simple hollow man or a towering tree giant (hint: risk = reward). For some the difficulty will be too demoralising, and at times it does slip into irritation rather than challenge, but in all the balance is struck well. If you fancy an even tougher challenge, and are, in fact, a masochist, then there is a covenant in Majula which offers to top up the difficulty. The game has a lot to offer, but it like a treat surrounded and obscured by barbed wire: to reach its tasty centre you must suffer through its trials and earn it. I have never been a gamer who falls into RPGs with anything less than extreme difficulty, but, strangely, something about DSII has me longing for more, daring me to pick up the gauntlet once again, and it’s an experience done so well that I am more than tempted to try again…and again. It ain’t easy being yellow. 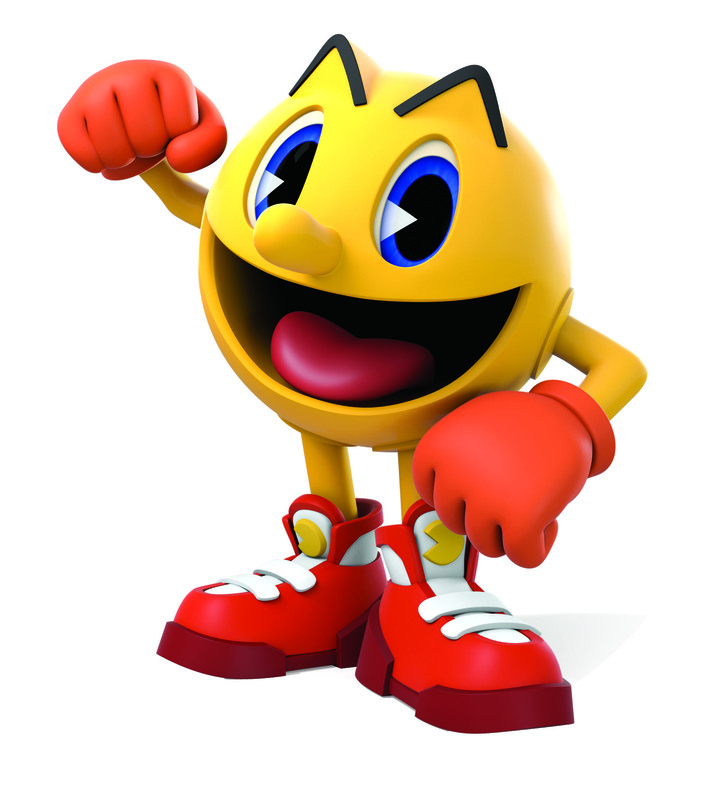 Pac-Man first came chomping onto arcade machines back in 1980 and after a number appearances over the years, he’s back to set new records in chomping, munching and guzzling. In many ways, Pac-Man is a homage to the over-indulgence of society, constantly eating anything that moves, whether it be a tasty treat (cherries, lemons or, in this game’s case, hamburgers) or various enemies. 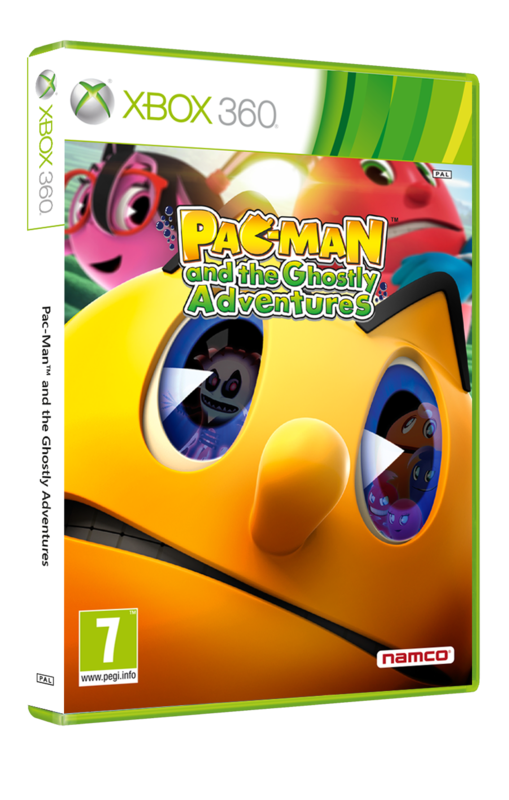 Since his 2D hayday Pac, as he is trendily known as, has developed a few new skills to help him with this 3D platforming adventure. The titular ghosts are as you might expect, each with their own move and colour coordinated appropriately so you can anticipate their attacks, although in some areas their over-enthusiasm to hurt you can lead them to charge at you, miss, and fall off the map to their death – despite floating in midair for the most part. Technically otherwise though, there’s little to complain about. The visuals look clean, bright and colourful – everything you would expect from this children-focused title – and the camera does a reasonable job of keeping up with your twists and turns. That said, there’s little in the way of a tutorial, and some of the mechanics require fairly precise timing on button presses to pull off, which may be too much for younger gamers. The frustration of repetitive deaths is irritatingly present, since it is a platformer, but there are enough mechanics going on to keep things fairly varied. The gameplay is very very similar to games like Mario Galaxy or Sonic Adventure 2 Battle, although sadly the game doesn’t have the imagination of the former or the style of the latter, making it feel like a bit of a copycat, attempting to cherry-pick the best elements of both. 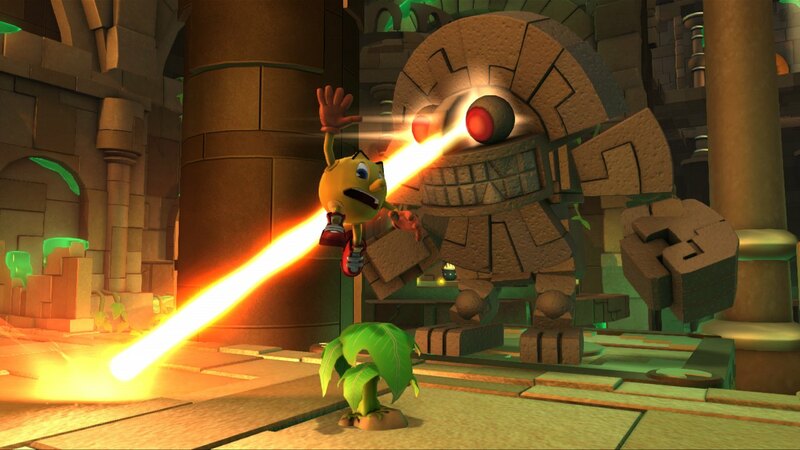 Standard Pac-Man can double jump, dash forward with his trademark chomping noise – which can be chained together through multiple enemies – and ‘scare’ the ghosts with an overly dramatic “Boo!”, turning the enemies into the blue, vulnerable iterations which hark back to the original title. There are times when the game tries to take the character further, in the form of themed power-ups. Most of these are limited and some make movement an extra challenge, the camera doesn’t help here as when jumping (or bouncing) across platforms it isn’t possible to move the camera up to bird’s eye view so you can judge how far you need to go. Collectables in the game are limited and the only explanation for what they do is offered through fleeting loading screens. One of the neatest is a homage back to Pac’s early days through arcade machines in the hub world, a school, which you can play with tokens once you have completed enough levels to unlock them. Story-wise the game is based on the TV series of the same name, which sees Pacopolis (yup, really) attacked by ghosts after the seal on the Netherworld was broken by accident, releasing evil antagonist Betrayus and his ghostly army. 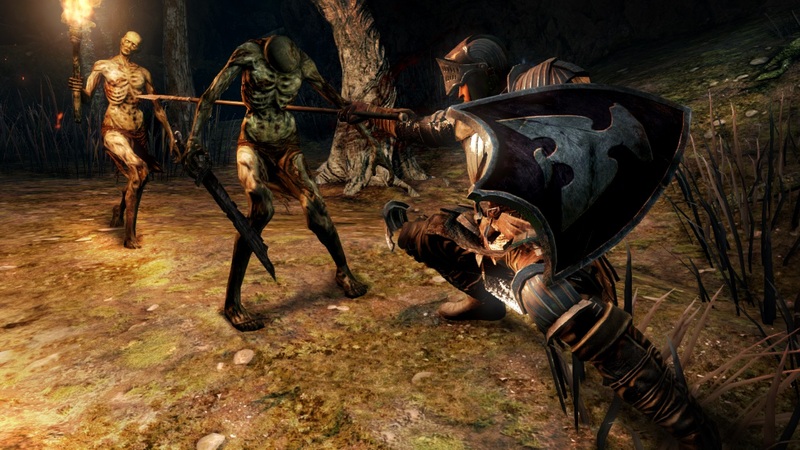 Sadly we don’t get to see too much of Betrayus in the game until an underwhelming stand-off at the end, instead being subjected to increasing size and complexity of ghosts, which can largely be run past or ignored to clear an area. 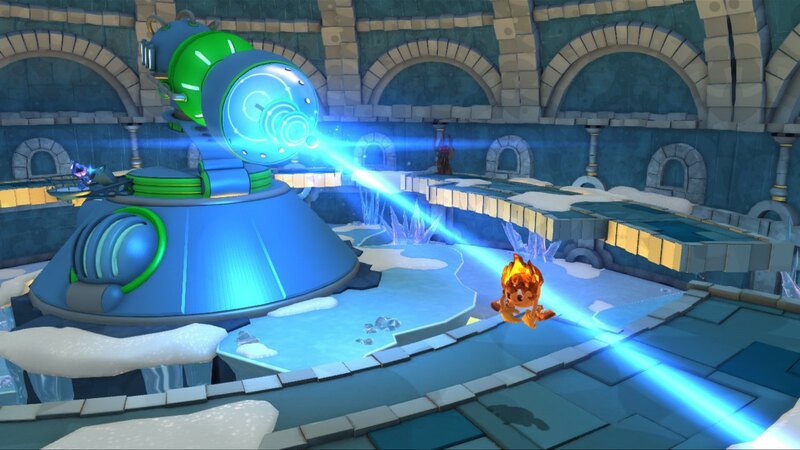 The game is split across six zones, largely elemental (fire, ice etc.) and each has around six levels within it, each taking about 20 minutes to complete – unless you die lots of times on a frustrating floating platform section – making a 12 hour game in theory if you max out every level, but there’s not much to compel you to re-play. The game is fairly well put together considering its intended audience, though mum and dad might need to help out more often than not, and is fairly entertaining for a short spell, but don’t expect this game to push the boundaries in any way and certainly it won’t deliver the sort of memorable experience you might have got from something like Mario Galaxy or Banjo Kazooie.